Five free tips from Sound Feelings help release anger to improve emotional and physical health. Our free information reveals self-help techniques and solutions for anger-management, anger-control, coping with anger, anger resolution, expressing anger and conflict resolution. This self-study guide helps dealing with anger issues and uncontrollable rage by using catharsis, emotional expression, forgiveness and releasing the cellular memory. These tools complement other therapies, strategies and remedies geared towards domestic violence prevention. See also: handling anger, controlling anger, controlling rage, forgiveness, angry, releasing anger, intermittent explosive disorder. 1 Give Yourself Permission to Express Anger. 2 Combine Mental and Physical Effort for Anger Control. Mental therapy alone may be extremely helpful for anger release, but it can only take you so far. Similarly, the physical act of doing exercise can help many people let off steam, but it may not remove deep-seated anger. The most effective process is when you can combine both the mental and physical effort. This is when you do a particular physical activity along with the mental intention of releasing the anger. Please see the next step for specific examples of how to combine the mental and physical effort to help release your anger. In each example, don’t just pound pillows, or rip paper, but REALLY FEEL the heavy anger emotion with it’s full intensity WHILE you do the physical activity. This is so important and will assist you to finally RELEASE the anger energy so that it won’t come back. You may have to do the process repeatedly because it releases layer by layer and it is doubtful that you will get to all of it in one session. There are many studies recently showing that doing this type of activity could possibly MAKE someone more aggressive. This is a complicated issue. Let’s say that the type of people who hold in their anger their whole life NEED to learn to become more aggressive in order to become balanced. It is important to learn how to not be a doormat and have people walk all over you. It is important to speak up for what you believe and not take garbage from everyone. So, indeed, if this behavior makes a person RELATIVELY more aggressive, it is in the vein of becoming whole, and that is a good thing! However, please realize if you are already an explosive person who throws temper tantrums and becomes violent, then this approach is NOT appropriate! This recommendation is more appropriate for the “quiet anger” that a person keeps inside for many years. This is the anger that causes physical illnesses, sleep disturbances and other stress-related conditions. Getting the anger out in these cases is extremely therapeutic. 3 Never Hurt Others in the Process. Give yourself the opportunity to express anger in a safe way, without hurting anyone else. Most people will benefit by having a private room to pound pillows with their fists or legs, or with a plastic bat. Some people may prefer ripping pages of paper, screaming, throwing plates (old ones). 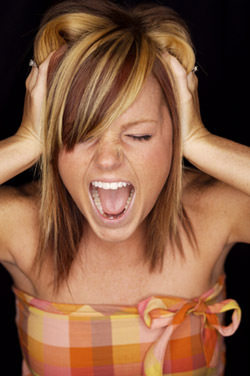 Many people find it helpful to use anger-release music as a stimulus or catalyst for this process. Remember, NEVER hurt yourself in the process and never aim your anger literally at another person. What is important here is your expression of the negative emotion, NOT who receives it. If the anger (or other emotion) is traced to a specific individual, some people have found it helpful to have a symbol of this person at which they can direct the anger. This could be an enlarged photocopy of a photo on a piece of paper which you then scribble-over, tear, burn, or otherwise destroy. Be open to discovering your own dynamic anger-release method. 4 Totally Let Go, Without Hesitation. The final step in maintaining anger-release is to truly forgive the person who wronged you as well as to truly forgive yourself. How to Control Your Anger Before It Controls You — Book In their new approach to coping with anger, world famous psychologist Dr. Albert Ellis and Dr. Raymond Chip Tafrate present their thoroughly researched and proven technique designed to help understand the roots and nature of anger. Using simple instructions and exercises, readers can learn to reduce angry reactions to an often difficult and unfair world. The Anger Toolbox — DVD Dr. Joann Peterson leads this program, based on her own three day workshop on dealing with out of control anger. The program follows the 12 participants in the workshop as they deal with the roots of their anger, find ways to keep it out of unrelated areas of their lives, and discover new and effective ways to communicate. You’ll most likely be interested in Mr. Richman’s special music to help release anger . When you click on this link, you’ll find that you come to the “Music for Cancer” music. This is because it is the same music! It has been found that if you hold in your anger for 10 or 20 years, it can be a crucial factor in causing cancer. Do everything you can to release the anger so that it does not fester within you for years and eventually make you sick! Taking Charge of Anger — ebook Angry people often get into trouble — with spouses and kids, bosses and colleagues, friends and strangers — and “putting a lid on it” is easier said than done. Yet this powerful, often destructive emotion CAN be tamed with the effective six-step program presented in this ebook. Anger expert Dr. Robert Nay, who has conducted popular trainings and workshops nationwide on his proven approach, combines innovative self-discovery tools and targeted exercises for understanding and managing the five unproductive faces of anger, from passive-aggression to all-out rage. Quizzes, worksheets, and practice tips help readers assess when and why their anger becomes a problem, switch gears before it escalates out of control, and channel anger in more productive ways. Beyond just learning textbook strategies, readers gain skills to make anger control second-nature in stressful, hot-button situations. Jamie Sullivan’s Child Anger Revealed. FREE REPORT. “I’ll Show You Exactly How I Taught My Aggressive & Defiant Child About Anger Management...And I’ll Do It Now!” Learn: Causes of anger in your child, Main parts of anger, Teaching good anger management skills, And many more skills and secrets to deal with your child's behavior. The Anger Pillowcase. Give yourself the opportunity to release your anger in a safe way, without hurting anyone else. Our anger is often linked to another person. Your customized Anger Management Pillowcase displays the photo of this person. It’s an amazing tool to help you release the storage of the negative energy you may have built up in a safe and private manner. Anger Mangement Subliminal Course on Audio CD. Do you get very angry for the slightest little issue? Do you realize that you get very mean towards any particular person at any time? If you have trouble controlling your emotions, and find yourself getting easily angry or mad, then this course can help you overcome this destructive behavior. The Real Solution Anger Management Workbook (ebook or softcover version) reduces levels of anger, especially in provocative situations. Learn how to cope instead of blame. Learn how to control your “trigger thoughts.” Learn how to prevent escalation. Learn how to resolve conflicts. Learn how to process anger. Learn how to deal with shame. Learn how to properly ventilate anger. Graduated homework assignments allow participants to apply their newly acquired skills. Workbook is a self-study course for those who are unable to participate in the Anger Management Individual Program. The Anger Management Workbook for Kids and Teens (ebook or softcover version) is an effective guide for adolescents and pre-adolescents. It may be used on their own or with the guidance of a caring adult. It helps get to the foundational issues of anger problems. Learn the real reasons underneath the angry feelings. Learn relaxation and calming techniques. 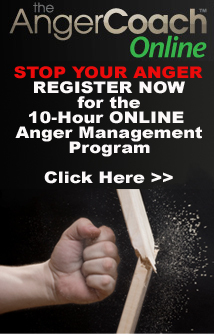 Monitor angry feelings using the Anger Log. Learn to increase Self Control, Self-Esteem and Confidence. Learn how to have a more positive attitude. Learn healthy alternatives to acting out anger. Learn Conflict Resolution Skills and Concepts. Learn effective techniques for dealing with “Bullies.” Learn important life skills for career and relationships. Learn to choose your reactions and free yourself from anger and negative feelings. This Powerful ebook is a practical guide to self-mastery and inner power. Now you can strengthen, develop, and improve your will power and self-discipline! Will Power and Self Discipline will help you to attain self-confidence, assertiveness, perseverance and decisiveness! The simple techniques outlined cover important concepts that will change your life, including: meditation, self improvement and spiritual growth techniques. These techniques are essential for the development of all inner powers, including the power of concentration. Cellular Release Modalities: Unlocking the Cellular Memory for Ultimate Emotional Release and Physical Healing. This 17-page ebook Offers valid emotional release techniques to help scoop out the final vestiges of old emotional pain. Share your gripes on how you have been treated rudely, including driving rudeness, telephone rudeness and more.